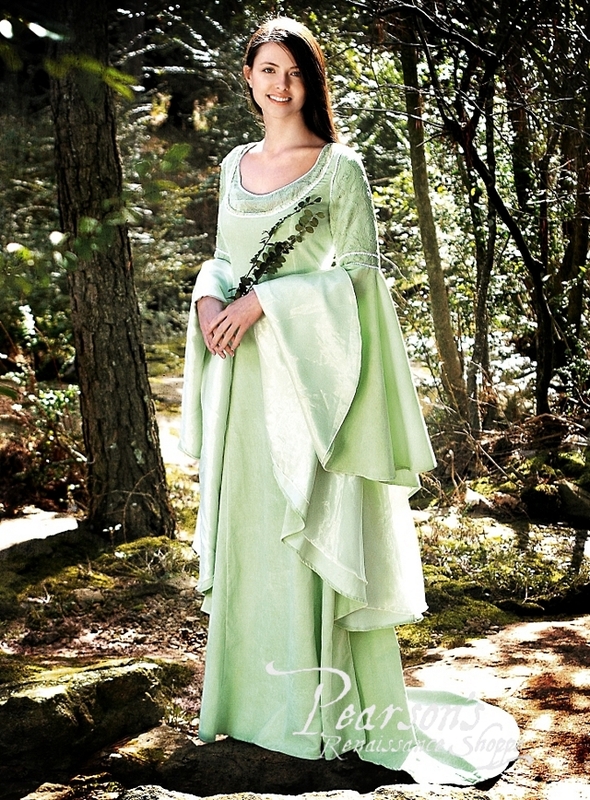 This extremely elegant, floor-length Elven Fantasy Dress is made of soft, peridot-green cotton velveteen – a color that you wear to show your love of nature. The brocade trim on the wide trumpet sleeves and neckline is embellished with beautiful embroidery and beading. The lacing at the back and the beautiful train both add to the dress' simple, unforgettable resplendence.